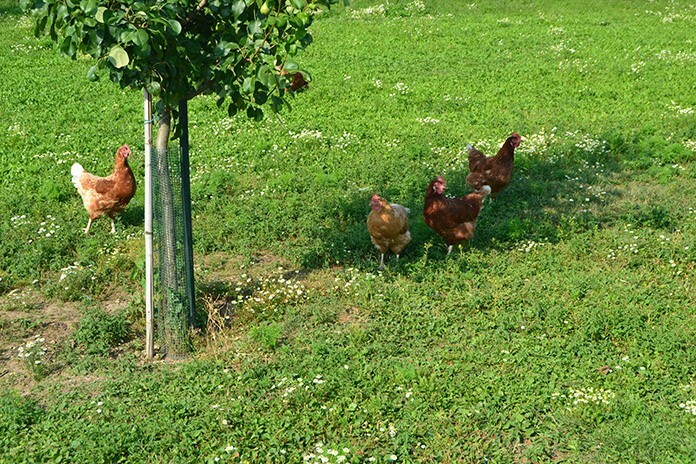 In Australia, on-range feeding of free-range laying hens can be frequently observed and is especially common in mobile sheds. 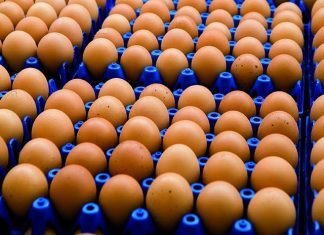 While the biosecurity risk of on-range feeding cannot be overemphasized, the impact of on-range feeding on range usage remains unknown. 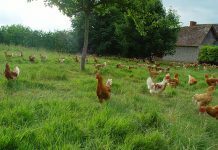 The present study investigated the effect of on-range insect feeding on range usage of free range laying hens. 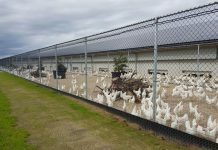 A total of 120 ISA brown laying hens (20 hens/pen) at 43 weeks of age were housed with access to indoor feeders, drinkers, perches, nesting boxes and an outdoor range with one biosecure feeding station. 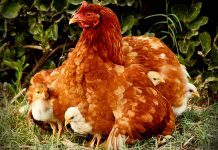 Indoors, all hens received ad lib a typical Australian wheat-soy based layer diet formulated to breed nutrient specification. Pop holes to the range were open daily from 9 am – 7 pm. The outdoor feeders were empty for 3 control pens while the 3 treatment pens had their feeders filled with dried Black Soldier Fly (Hermetia illucens) larvae (BSF). BSF larvae were offered to the hens of the treatment group ad lib for the duration of 6 weeks (feeding period). Ranging activity was recorded during the first and last 7 consecutive days of this feeding period. Individual ranging data were arranged 2 x 2 factorial (time point x treatment) and analysed using the General Linear Model. All statistical analyses were processed in SPSS statistics 24. All hens used the range every single day. There were no significant differences between the control and treatment group at any time point. However, the average number of visits/day and the total number of visits significantly decreased over time (P < 0.001). Results are displayed in Table 1. In conclusion, additional on-range feeding with Black Soldier Fly larvae did not affect the range usage of free-range laying hens. 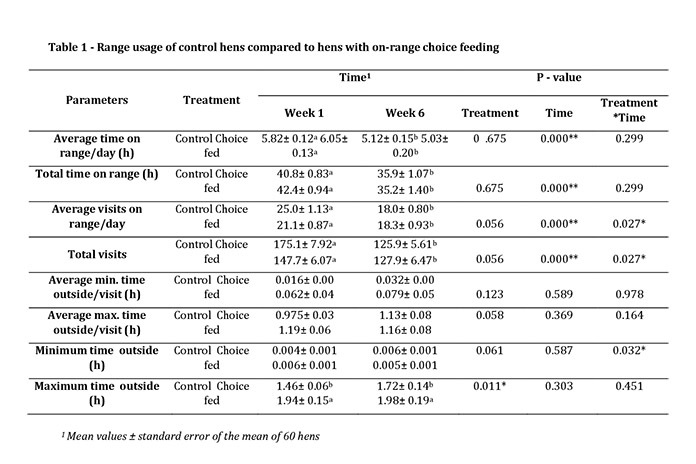 Further observations of the behavioral time budgets between hens with and without on-range feed are warranted. Acknowledgments: Authors thank the Poultry CRC for providing financial support.